A dagger found within the burial wrappings of Egyptian Pharaoh Tutankhamun is made with iron from a meteorite. 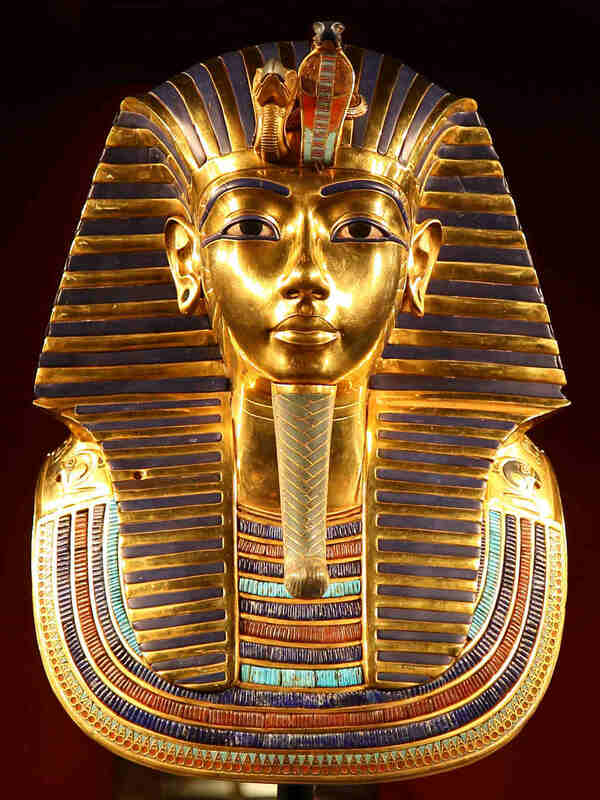 Tutankhamun died c. 1323 BC, aged 18, a time when iron was rare. The knife was found with the grave in 1925. Link to the scientific article in "Meteoritics & Planetary Science"